What’s the Relationship between Endometriosis and Candida? - YeastInfection.Org by Eric Bakker N.D.
You are here: Home / Yeast Infections and Women / What’s the Relationship between Endometriosis and Candida? What’s the Relationship between Endometriosis and Candida? July 8, 2013 by Eric Bakker N.D.
A female medical doctor I know well went to a health conference in Canada several years ago and the topic was endometriosis. 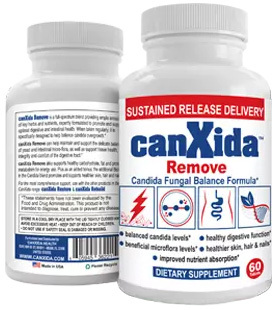 She said that both two days was spent discussing candida albicans infections, and there were many discussions on how to identify and treat yeast overgrowth in women. It is about time that we are finally starting to see more medical doctors who are practicing natural forms of medicine, because when I started to see patients it was something of a rarity to hear of a medical doctor who had much regard for natural forms of healing, and those that did profess to use natural medicines were treated as quacks, charlatans and snake oil peddlers. Whilst I have met women with endometriosis who do not have thrush or a candida problem, I have not often met a woman with endometriosis who does not have some type of history of candida, and then who has generally suppressed the condition with a cream or antibiotic. She may have had the thrush many years ago, and this was then supposedly “cured”, which only serves to drive it further into the endometrium, thereby potentially causing eventual endometriosis. Are you a female with vaginal thrush? Then my advice is to adopt the treatment plan outlined in the Candida Crusher to successfully eradicate the condition. It may be difficult or stubborn to cure when you first start treatment, but your persistence will pay off and you can eradicate this problem in time. Your persistence will eventually pay off, and eradicating rather than suppressing an internal yeast infection will save you plenty of discomfort and misery in the future, and for you it may even be the difference between conceiving a child and remaining infertile.